What is a CSA? — Wildroot Flower Co.
CSA is an abbreviation for Community Supported Agriculture. When you sign up for our CSA you are purchasing a share of our flowers for that growing season. You can select your share size and pick up locations in our CSA shop. The commitment of your share helps us invest in seeds, supplies, and equipment before our growing season takes bloom. Being a member means you pay for a share and you will receive your flowers at the partner location of your choice. You share in some of the risk and rewards of farming without pulling weeds. Here at Wildroot Flower Co. we promise to grow our flowers using sustainable growing practices. This means we believe in organic growing techniques and are committed to supporting the ecosystem. 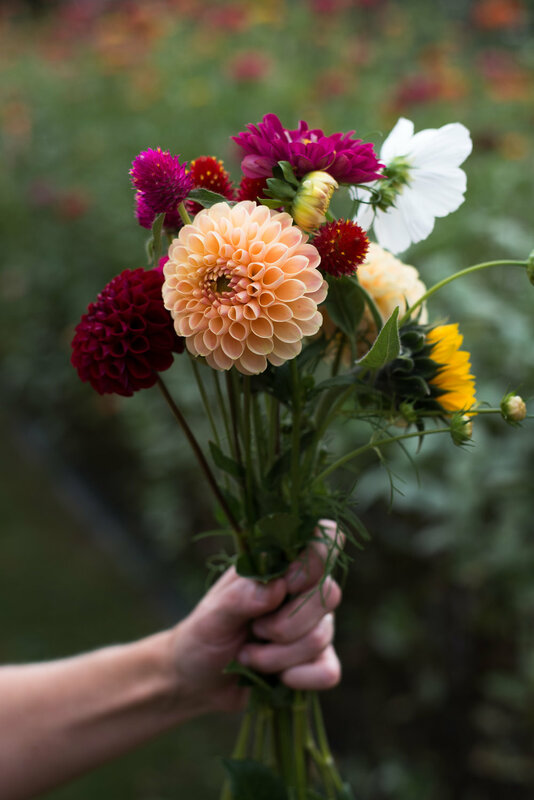 We will delivery to you the healthiest quality blooms straight from our fields and we promise you’ll see the difference.